Economy Packages Include:	• Hall	• Bartender	• Linens	• Centerpieces	• Security	• Clean Up	• Person to clean tables	• Catering 100 Guests | $4195	150 Guests | $5020	200 Guests | $5845	Please review our attachment for more options. Hall can be booked with $1000 dollar deposit or two $500 dollar payments. $500 when you sign and $500 30 days later. Balance made in monthly payments and full balance due 30 days before you're event. Contact us for complete terms & conditions. 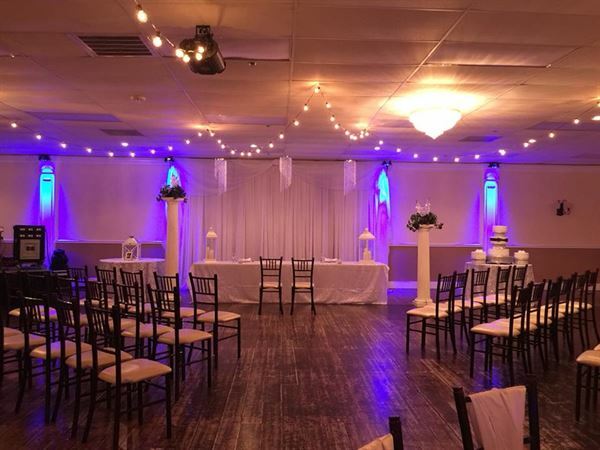 Economy Packages Include:	• Hall	• BYOB Server	• Linens	• Decorations	• Security	• Clean Up	• Person to clean tables	• Catering	150 Guests | $5120	200 Guests | $6445	250 Guests | $7370	300 Guests | $8195	Please review our attachment for more options. Special Features: Catering room equipped with commercial appliances as follows: ice machine, refrigerator, warmer, 3 compartment sink, and a microwave.